From the opening sentence to the exhilarating conclusion, Pinter's debut thriller gets the reader's heart racing. 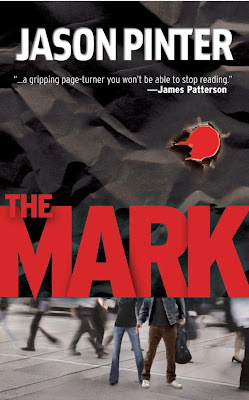 Taking a dream job as a reporter for a major New York newspaper, Henry Parker plunges into a nightmare when an interview goes wrong and a stranger is killed. On the run from the police, the FBI, and the mob, Parker has gone from uncovering dirt to becoming the story. With nowhere to run or hide and trying to find a package that everyone believes he possesses, can Parker survive long enough to stay off of the obituary page? Pinter clearly reads thrillers, and he is able to use the best aspects of the genre to his advantage. With more Parker novels on the horizon, Pinter is clearly one to watch. For all popular fiction collections. Rock on dude. I can't wait to gte my hands on this book. Very, very nice. Can't wait to read it. Very cool. Sounds like a great book. Congrats! Wow! What everyone else said! Fantastic, but I'm not surprised. I read the book.